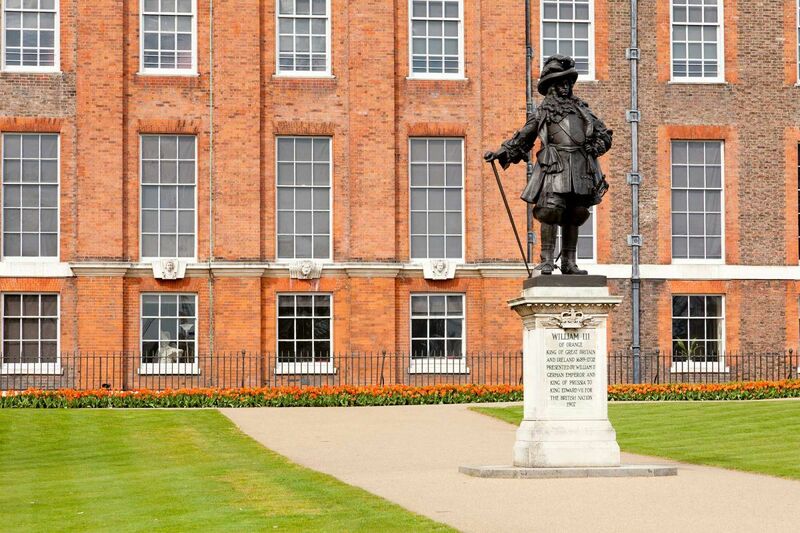 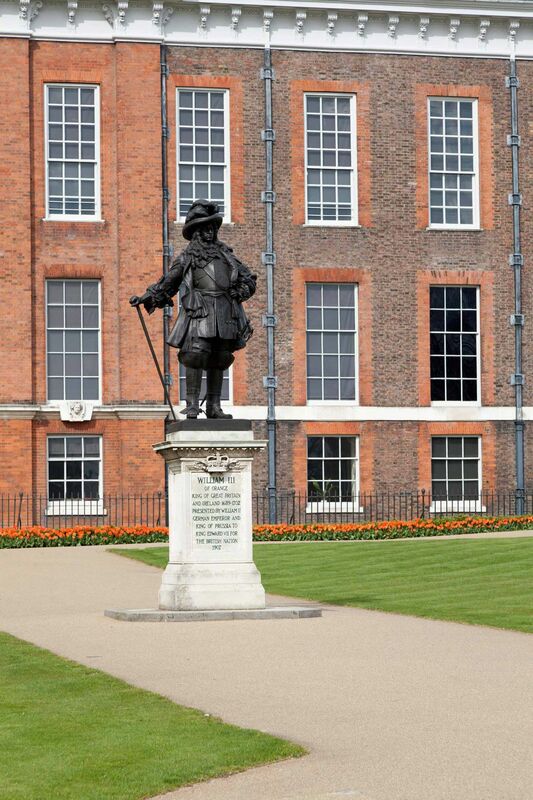 This large, bronze statue of King William III is located at the south gate of Kensington Palace. King William III chose to live at Kensington Palace because the air was cleaner than at Whitehall and better for his asthma. The statue's pedestal was designed by Sir Aston Webb, who designed the Queen Victoria Memorial outside Buckingham Palace.